The Macad family has taken three weeks away from Abundant Grace of God in Tabuk, Philippines and headed North to spend Christmas with Georgia’s family. We have had a wonderful time here and have seen lots of family and a few friends. It is amazing how fast three weeks can fly by! The boys enjoyed making their first snowman (Zion and Lucas’s first time in the snow! ), drinking hot chocolate, and even pictures with Santa! Georgia and Achao enjoyed spending time connecting again with family and friends – lots if them new friends for Achao. I have to say that I am so blessed to have a staff that I have full confidence in to run the ministry in the Philippines while we are away for three weeks. We will be sad to say good-bye to all of our loved ones in Canada next week but looking forward to getting back to our home and our clinic – to see all the growing bellies and the new babies born while we were away. Far from our Home … but close to our Hearts. 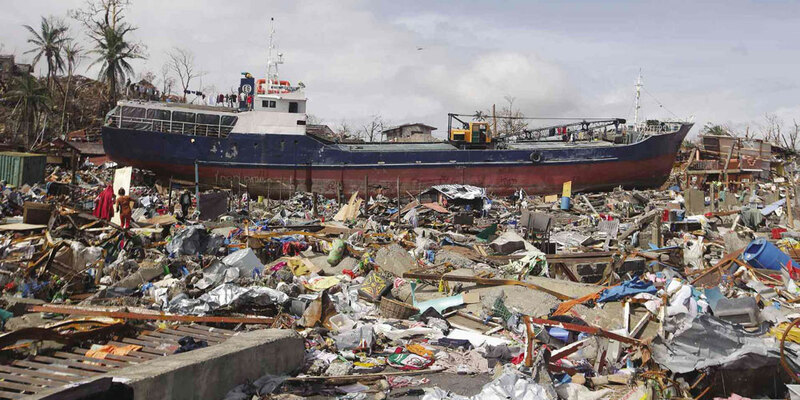 Typhoon Yolanda hit last week with a fury. The reports have just started coming out and the devastation is heartbreaking. 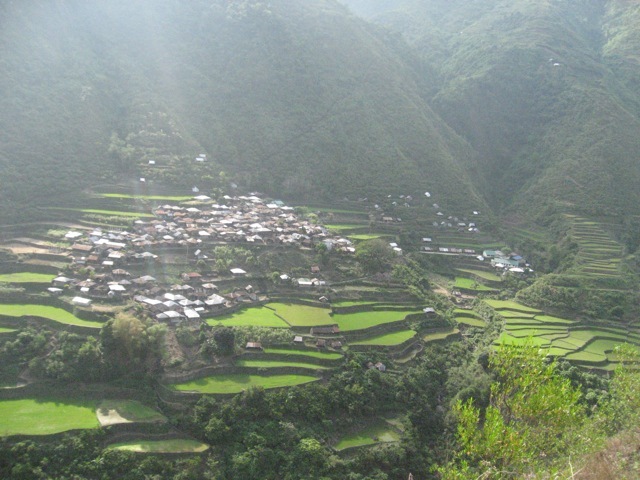 Here in Kalinga we had a rainy afternoon on the day the typhoon hit – nothing more. I am so thankful that we are all okay here. That our house is still standing. Our loved ones safe and sound. It is almost too much to bear when I think “what if we were the ones with our lives torn apart?” So, I try not to think about it. But it is still there every morning on the television and radio and on Facebook when I open my computer. Families torn apart, missing loved ones, lives destroyed. I don’t know what my role should be in this particular disaster. But I know that I should not ignore it. So today I am dedicating this simple post on my simple blog to all of those families that are still reeling, still searching and still grieving. My heart is with you. 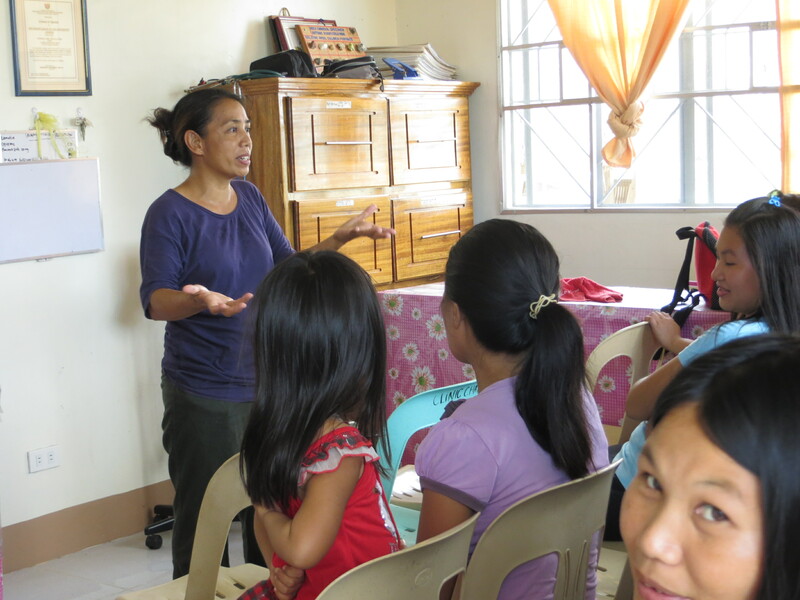 We have a had a great year training mothers in our “Well-Baby” program. Cathee Mapes has been heading up our program since 2012 and is doing an amazing job! Cathee knows just about everything there is to know about Primary Health Care, Nutrition, Backyard Gardening, Medical Emergencies, TB … ok a lot of things! We have been blessed to have her work alongside us in bringing this very important training to the mothers in and around Tabuk. Cathee Mapes teaching at a seminar at the clinic. 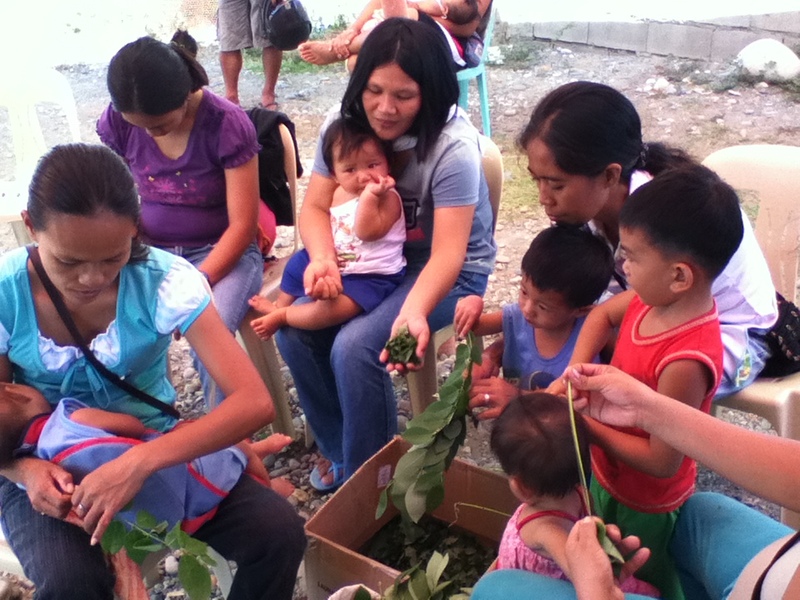 Mothers learning how to make their own organic pesticides. A mother with her baby boy. In 2014 we hope to reach out even further with our Well-Baby program and train mothers in the mountains of Upper Tinglayan. This will mean hiking into remote villages as well as encountering a lot of traditional beliefs that may go against what we are teaching. It is going to be an exciting year ahead! The village of Bugnay in Upper Tinglayan. We are very sad to say good-bye to Baby Ashley Manzano who has become a big part of our lives over these past four months. Ashley went home to be with Jesus on Wednesday August 28 after a lifelong battle with repeated lung infections that were never diagnosed. Ashley was born at our clinic on March 18, 2012 and was transported to the hospital immediately for breathing difficulties. Ashley’s mother Julies never came back for her follow-up check-ups at the clinic and we didn’t see her again until over a year later. 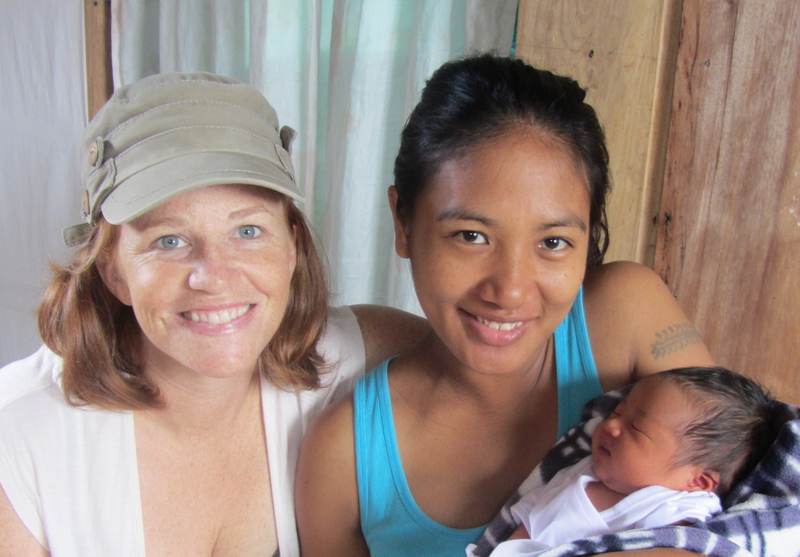 This April Julies and Ashley came to attend a Well-Baby seminar at our clinic. Ashley was more than a year old then and still only weighed 10 pounds. She also seemed to be suffering from severe pneumonia. Julies told us that she had been back and forth to various doctors to try to get help her for her daughter but was continually told that it was her own fault that Ashley was sick because she was malnourished. Julies told us that she tried to go to the community health center to ask if they could help and the midwife just looked at Ashley and looked back at Julies with condemnation and said “It’s severe malnutrition!” As a last resort Julies brought Ashely to us to see if we could do anything to help. For the last four months Ashley was a big part of my life. I tried to get a concrete diagnosis for her condition but she kept having these terrible bouts of pneumonia that we had to deal with. Julies tried to get Ashley’s weight up by giving her high protein milk. Ashley’s dad found them a safer place to live that gave them some protection from the weather. Ashley was hospitalized four times in the last four months, each time getting weaker. When we took Ashley for her third admission to the hospital I spoke quite forcibly and told the doctor that it was NOT MALNUTRITION! I then heard one doctor whisper to another that it was probably Cystic Fibrosis. We never did have a chance to take her to Manila for further testing – I don’t know if she would have made it back even if we had. Last Wednesday morning Ashley was at home with her mom. Julies was getting ready to take her to the hospital again and as she was getting dressed she heard Ashley call out “Mama”. When she turned around Ashley had stopped breathing. She rushed her to the hospital where she could not be resuscitated. My social worker Kate and I arrived a few minutes later to hold Julies and cry with her. I still cry every time I think of Julies holding her precious Ashley in her arms, calling out to her to ‘wake up’. Sometimes I get so sad and discouraged with the lack of medical care available here in the Philippines. I don’t know if it is because of the lack of diagnostic tools available, but the blame for childhood illnesses is usually shifted to the parents; they are not doing enough or they are doing something wrong. With this blame comes enough guilt and grieving to break your heart. 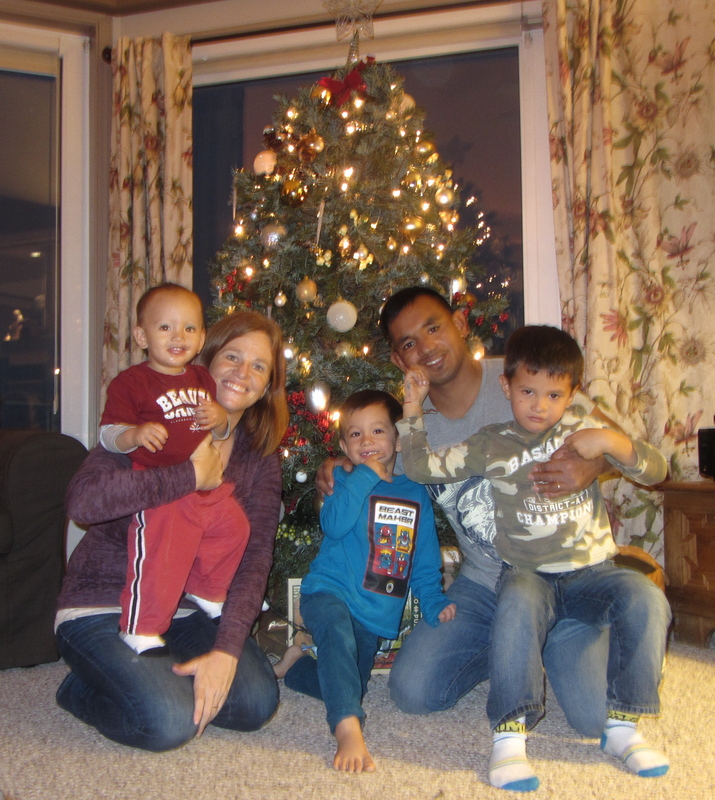 Please pray for Julies, her husband and her three other children. Please pray that they will find peace in knowing that Ashley’s suffering is over and she is waiting to see them again. Please pray that they will find freedom from guilt and condemnation in the arms of Jesus. Here is a wonderful story about how God puts people together in miraculous ways! 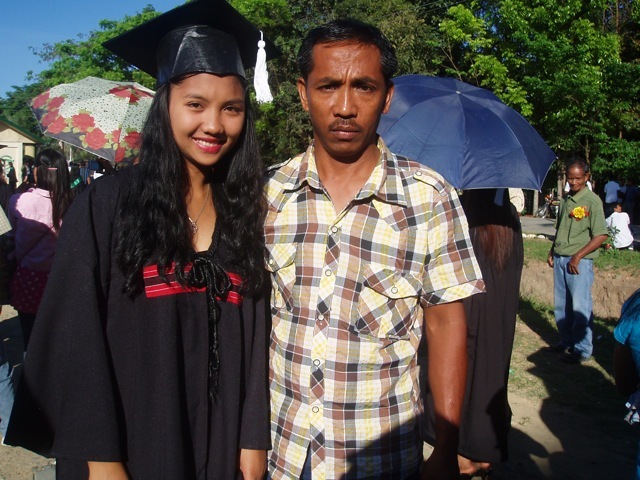 Melody and her dad at her Graduation. Two years ago my staff midwife B-lyn asked if there were any sponsors willing to help her cousin finish midwifery school. Her cousin Melody, is the oldest child of six and her family just didn’t have the funds to put her through school. She had had a sponsor that was helping her but when she switched her course from Education to Midwifery her sponsor decided that he didn’t want to continue funding her education. I told B-lyn that I didn’t know of anyone at that time but that we should pray and ask God to work something out. A few weeks after we prayed, Deanne Hancock, a fellow 1992 MEI grad (that was my highschool) who I probably haven’t spoken to in person since 1992, emailed me and asked if there was anyone I knew of that she could support through Midwifery school. She was wanting to give to something that would have a lasting effect. Yes, I definitely knew of someone! So for the last two years Deanne has sponsored Melody through Midwifery school while we have given Melody hands-on training at the clinic. Melody graduated this March 2013 and is now volunteering with us at AGGMC until she writes her board exam and gets her license. Our Midwife Had a Baby! Me, B-lyn and Ethan at their home in Lacnog. Evelyn Pullis Dungoc, my longtime friend and fellow midwife at Abundant gave birth to her own sweet baby on January 24. Ethan Michael Dungoc was born at Abundant clinic and I was so blessed to be his midwife! What an amazing experience to help my fellow midwife give birth. Evelyn (B-lyn) has been working with me since I very first started in 2006 and we have been friends since my first trip to Kalinga in 2004. Wow, that is almost 10 years! Congratulations to B-lyn and her wonderful husband Ramon on your gorgeous son! Achao, Georgia, Emmaus and Lucas are thrilled to announce the arrival of a new little Macad boy. Zion Simpson Macad was born at home on November 29th at 6:34am after just one hour of labor. Delivered by our amazing midwives Crystal, Marivic and Jacki. Also attending the birth, all the way from Oklahoma was Georgia’s mom! Zion weighed in at exactly 8 pounds. He has brown hair and brown eyes (surprise) and he is an angel!